Bio-Electric surgery and therapy with the K-BTE - Medical Laser Device has been performed for past seventeen years, four in Europe and thirteen in the USA. This technology has been provided to more than 650 patients who have suffered from Neurological Disorders which includes terminal ALS, several types malignant Cancers, Heart Attacks, Strokes and many other physical illnesses. K-BTE Medical Laser Device technology has accumulated more than forty thousands hours of use with extraordinary results. Without side effects absolute safe and without any harm to the healthy cells with no risk, the benefits are endless; cleaning as prevention, and significant improvement in healing process. 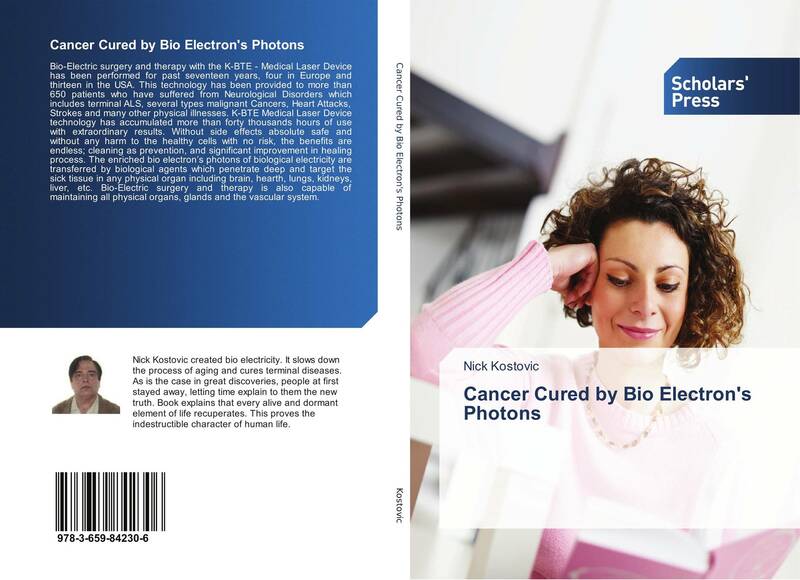 The enriched bio electron’s photons of biological electricity are transferred by biological agents which penetrate deep and target the sick tissue in any physical organ including brain, hearth, lungs, kidneys, liver, etc. Bio-Electric surgery and therapy is also capable of maintaining all physical organs, glands and the vascular system.